Trophy was a horse who left an amazing legacy despite being promoted only late in life, and being shown and bred relatively lightly. Bred by the Government Farm, he embodied the government breeding goals. His pedigree boasts 7 crosses to General Gates and more to Artemesia. Trophy was purchased as a yearling by DF Switzler, who had a few mares and little interest in showing. 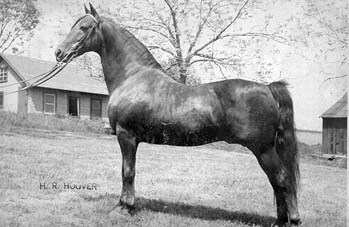 From 1952 to 1960, Trophy sired only 17 foals, but 15 of them (an incredible 88%!) went on to be prominent show horses. With their success, Trophy gained recognition and popularity as a sire in midlife. He remained fertile until the age of 29, and was laid to rest at 32. Trophy could TROT and his chief talent was in the getting of park horses. He crossed well with many mares, including several by Lippitt Moro Ash or his get. This breeding produced Reserve World Champion Trophy's Jade. 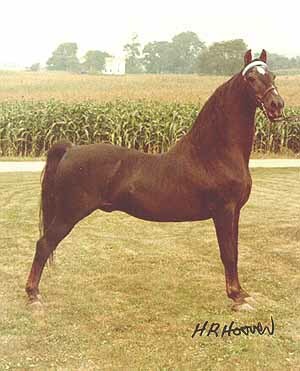 Trophy's Emerald won most classes she entered, and produced the 1979 World Park Harness Champion, Saddleback Supreme. 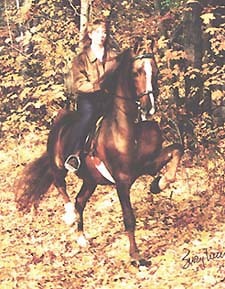 Trophy's Cupid, out of Ruthven's Nancy Ann, was the foundation mare for Legacy Farm. She produced such notables as Superb Creation, Ultimate Creation and Legacy's Masterpiece. Other famous Trophy get include Trophy's Corrigan, dam of I Will Command and Wham Bam Command, Black River Trojan, Black River Comet, Montebelle Trophy, Sugar Run Ovation and Southerly Maria. There are many, many more! 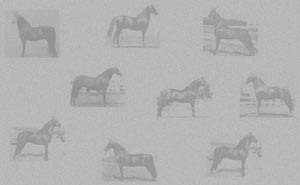 Visit the Next Page for photos of some of these great horses. 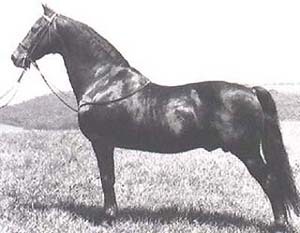 Trophy's influence lives on in contemporary horses such as Legacy's Viking (pictured below), who holds 12 National Titles in Park Saddle and Park Harness. Viking traces back to Trophy close up on both sides of his pedigree. Many thanks to Cheryl Ann Weatherell for much of our material on Trophy!